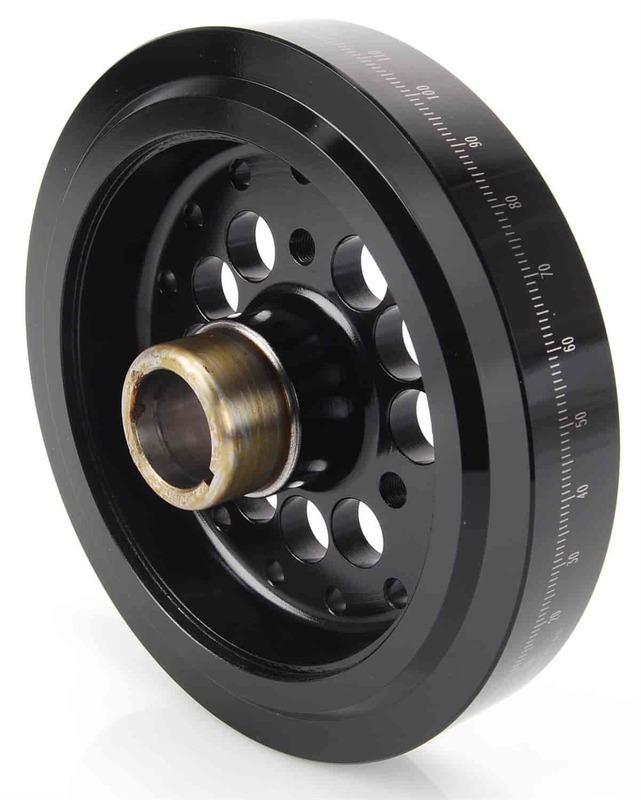 JEGS Small Block Chevy Harmonic Balancer/Damper 8"
Does JEGS 51603 fit your vehicle? 51603 is rated 4.3 out of 5 by 3. Rated 5 out of 5 by Louie the Tuner from High quality and great value Went on a steel crank internally balanced 400 zero problems. Rated 5 out of 5 by Sure from Super Fit perfectly. The markings could have been more defined. Still a nice part. Rated 3 out of 5 by Chrisg7 from Good product but...... The first one I ordered was honed incorrectly to fit on a stock sbc crankshaft. Had to send it back and get a second one. The second did fit correctly and was a good quality piece.